Last week, the Catholic Press Association, the national association of Catholic publishers, editors, reporters, writers and communications professionals, held their annual convention in New Orleans, and announced the winners of the 2010 Catholic Press Awards. 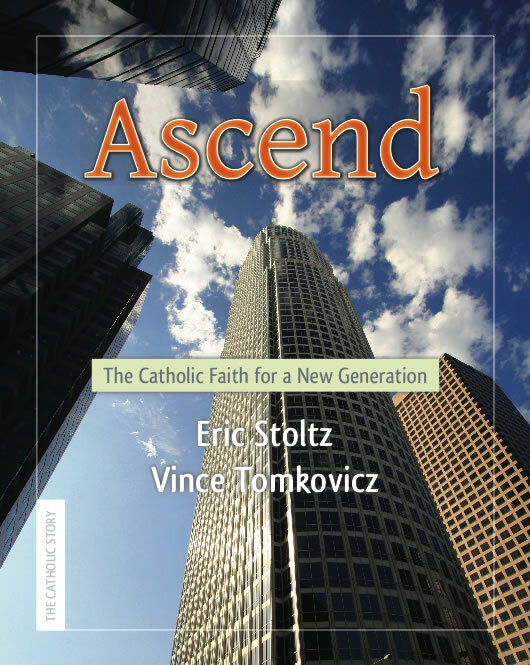 We are pleased that Ascend: The Catholic Faith for a New Generation was awarded first place in the category of Popular Presentation of the Catholic Faith, being singled out from among many fine books published in 2010. We are of course so thrilled that Ascend was selected for this honor. The word is spreading! Michael Vick, a god of second chances for some……the Prophets of ancient Israel would scream from the mountaintops in disgust and call us out for the unjust double standard! Michael Vick left federal prison in Leavenworth, Kansas and was allowed to complete his 23 month sentence confined at home for the last two months. You probably know that Vick was found guilty of participating in dog fighting for “sport” where the animals were treated in ways so atrocious that I refuse to elaborate further. So far I’ll bet you think I am just a tad bitter at the idea of this god of second chances. Well you are right…..and wrong. I believe we do worship a God of second chances and we all deserve a second chance, tell me, as we look at our own lives, you disagree? All things being equal let Vick have a second chance, yep go ahead Comissioner Goodell and the Eagles. After all, let’s face it, if he plays up to your expectations he should make the Eagles far more than the 9.8 million he stands to earn over the next few years. Maybe a soft drink company or some other nationally recognized brand name would even give Vick a chance to endorse their product, although I don’t see much of an opportunity to become the national spokesperson for the SPCA. The Vick’s of this world and especially our country where all are “created equal”, those who enjoy celebrity status, cannot be the only ones given their second chance if we live in a society where justice is the rule of law. We do say that don’t we? That justice for all thing? Every week a group of dedicated women accompany me to a conservation camp where women who are incarcerated for non-violent crimes serve out their time. Here they are trained to fight our California wild fires and for that receive a reduced sentence. These women are well educated or were highly skilled in the workforce before they made their mistakes and like Vick are serving their time. But there is a difference! They are not celebrities, they cannot pass a football with precision accuracy, and no one is waiting to hire them upon their release for multi-million dollar contracts that benefit national organizations. In fact no one is waiting to hire them at all after their debt has been paid. They stress as their parole date approaches and they are given their $200.00 with which to buy a bus ticket home. Why would the Prophets of Israel rail this injustice? Because again and again they tell us that if you want to measure the level of justice in any society you MUST look at those most marginalized. How any society treats the least of God’s children is the true measure of justice. Therefore comparing Michael Vick, Roger Goodell, the Philadelphia Eagles, and similar stories of celebrity comebacks we can all recall to the fate of the women at the conservation camp: Bonnie, Sabrina, Jenny, Rosi, Tiffany, Colleen, Cynthia, Nancy, Janice, Sue, Janene, Kelly, Jen, Maria, Margarita, Ado, Breanne, and Emma we have, as a country, failed to meet even a minimum standard of justice. “Just as individuals may sin, a society may also engage in social sin. Social sin is when a society embraces injustice as public policy or becomes so accustom to injustice it no longer sees its structures as an affront to human dignity.” Ascend: The Catholic Faith for a New Generation Stoltz/Tomkovicz, chapter 18 page 108. I refuse to capitalize god in the heading of this article. This god of second chances is a false god whose name is invoked in vain. The God I know is one who demands that we give all people, according to their ability, talent, and sincerity, the same second chance after their debt has been paid. Move over Martha Stewart, our God is looking at us. The difference that this god and our God sees is a failure to live out our American Creed. What the founding fathers stated as “self evident” has yet to be realized in this scenario and so many more like it in our land. How can we make a difference? Maybe our winnings next season from the weekly NFL football pool won’t seem like such an honest “take” after all!